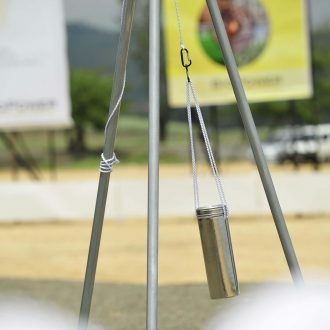 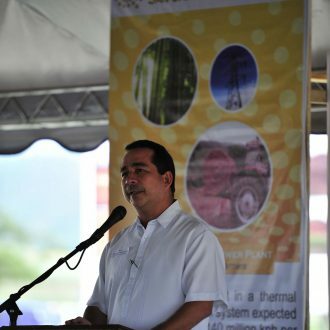 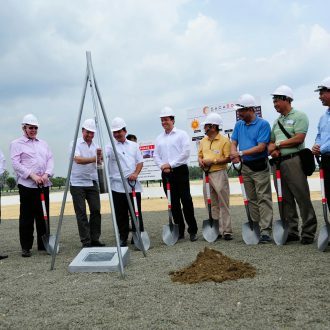 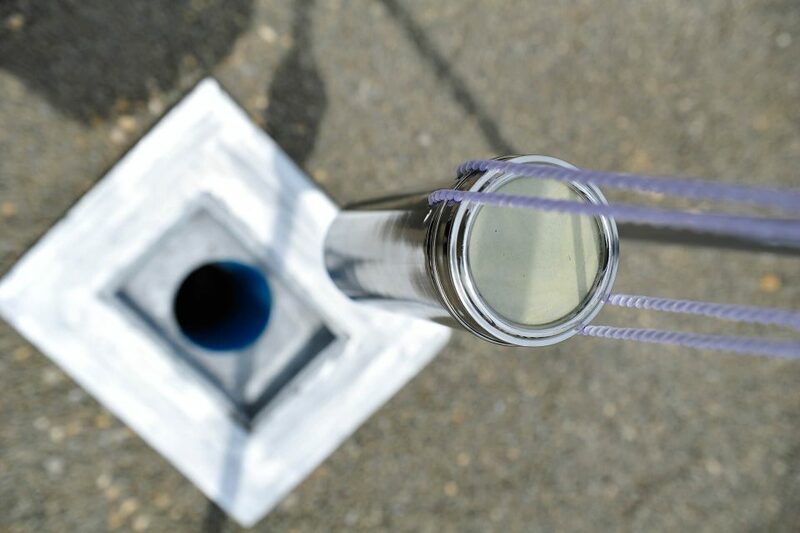 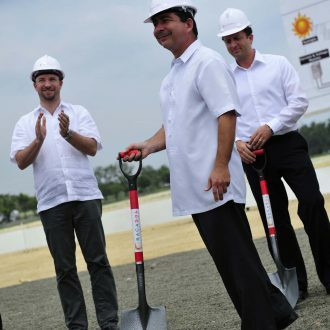 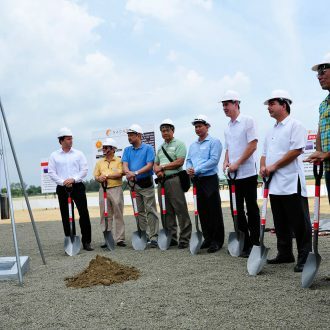 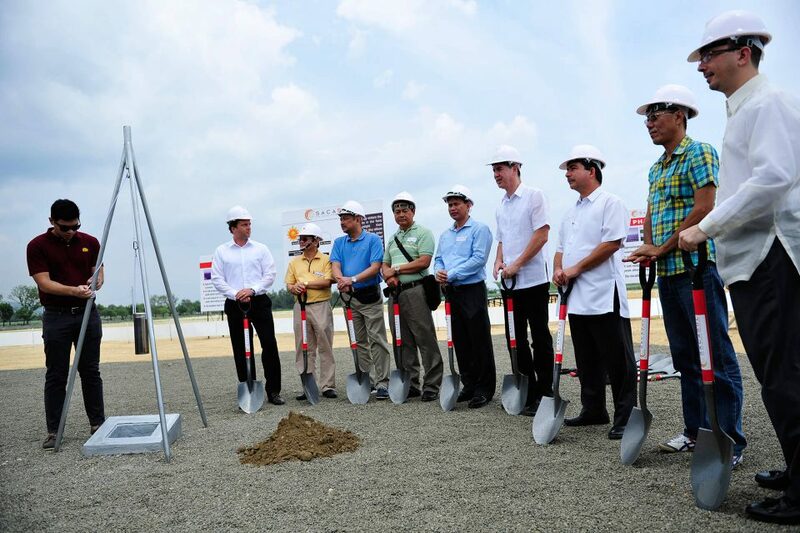 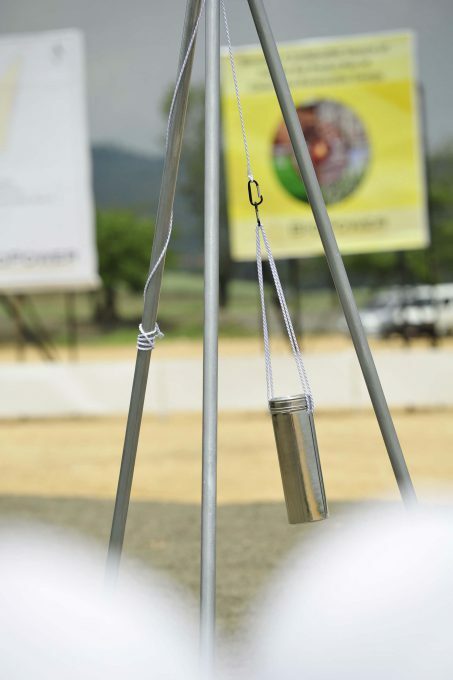 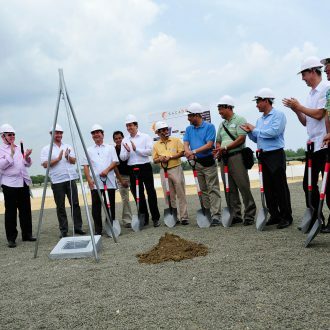 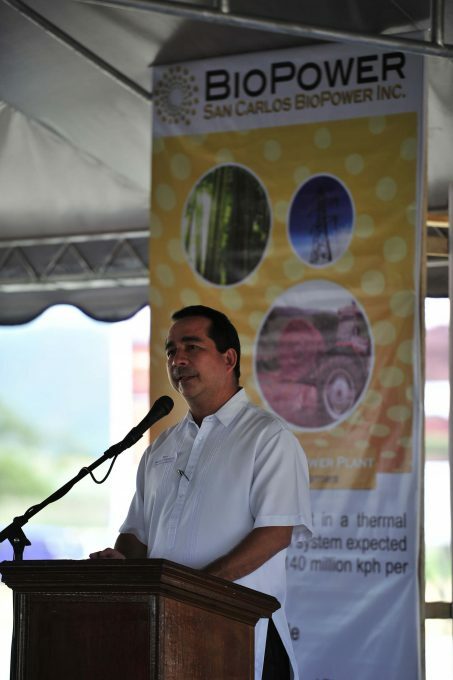 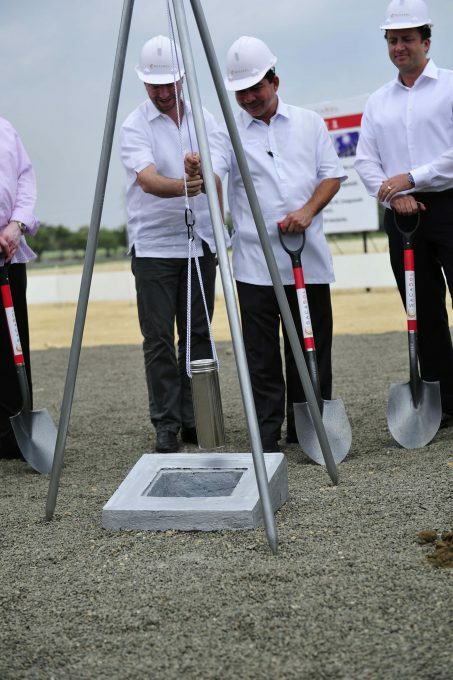 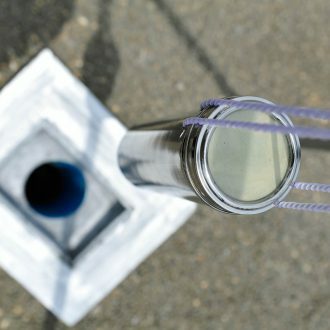 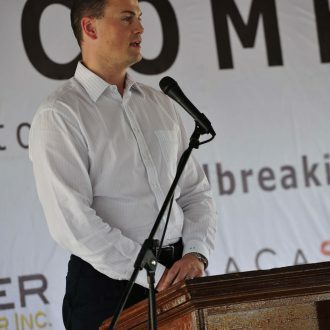 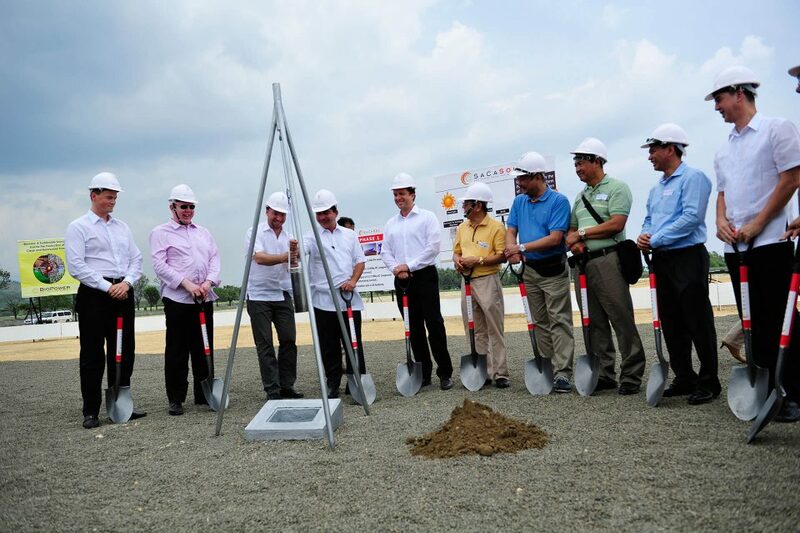 The foundations for San Carlos Solar Energy I A (SaCaSol I A) were laid on 9 October 2013 as part of a ceremony attended by local and national guests from the worlds of business and politics, and building work began. 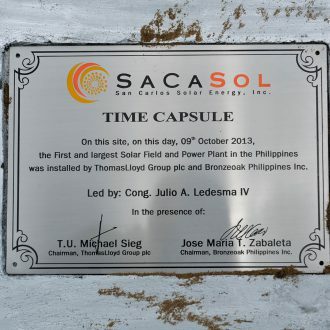 SaCaSol I A is the first phase of a ThomasLloyd SICAV-SIF – Cleantech Infrastructure Fund 45 MWp major solar power facility that was officially commissioned on 15 May 2014. 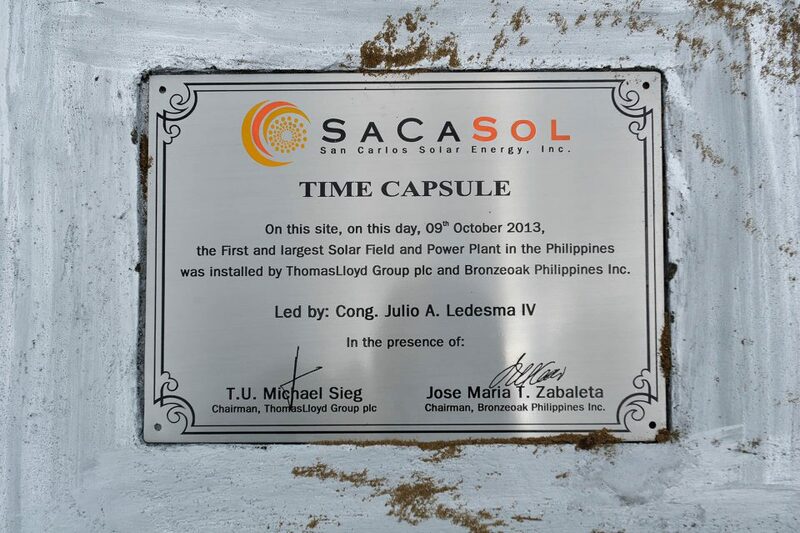 At the same time, SaCaSol I A was the first industrial scale solar facility in the Philippines. 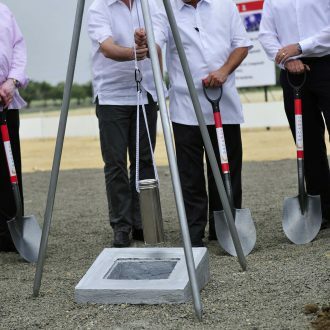 Speakers speaking in front of numerous guests and press representatives were: Antonio Ledesma, Bishop of San Carlos City, Jose Maria P. Zabaleta, President Bronzeoak Philippines Inc., Gerardo P. Valmayor Jr., Mayor, San Carlos City and T.U. 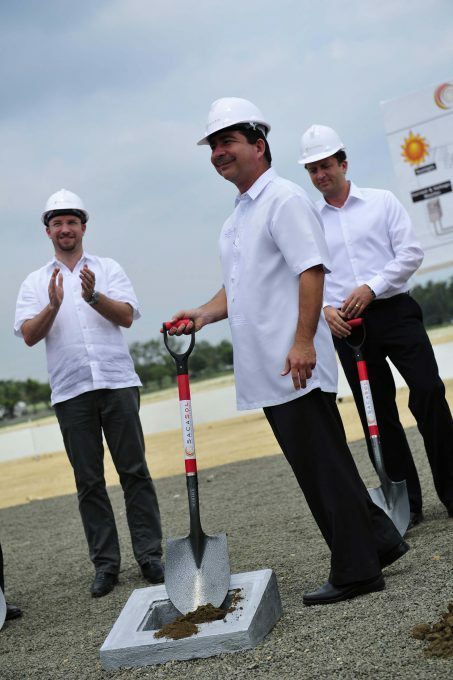 Michael Sieg (Chairman & CEO ThomasLloyd Group). 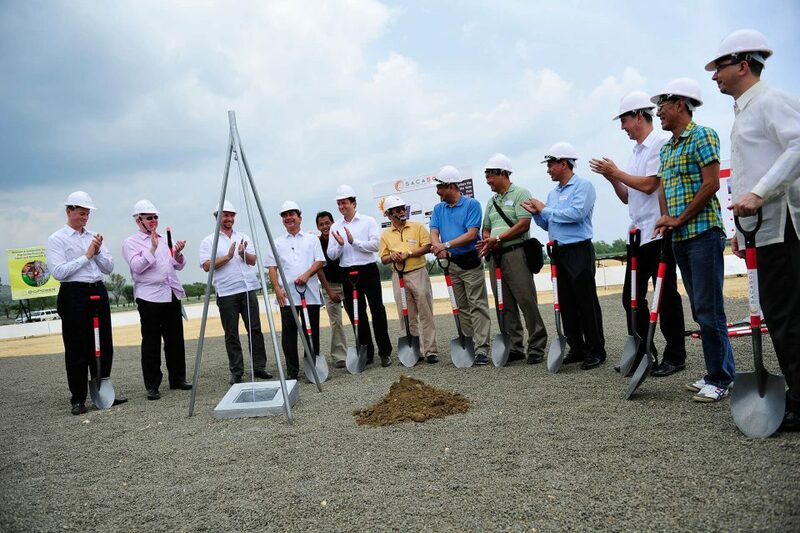 The power plant with a capacity of 13 MWp, constructed on an area covering 200,000 m2 in San Carlos City, Negros Occidental, in the Philippines, today supplies 30,000 people with sustainably generated electricity saving 8,748 tons of climate-damaging CO2 per annum. 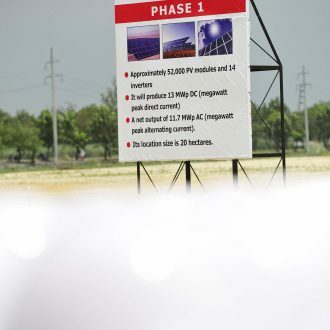 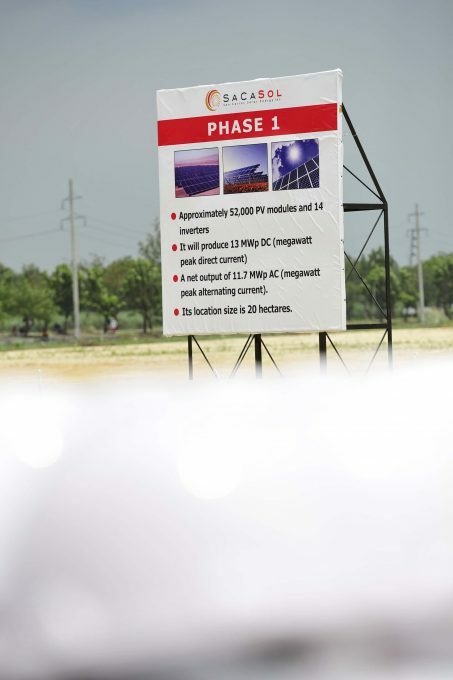 The next construction phases B (9-MWp), C (13-MWp) and D (10-MWp) will follow later. 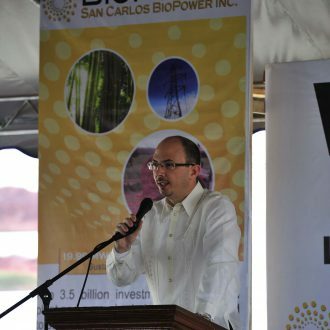 SaCaSol I was sold in its entirety to an international consortium of institutional investors in June 2015. 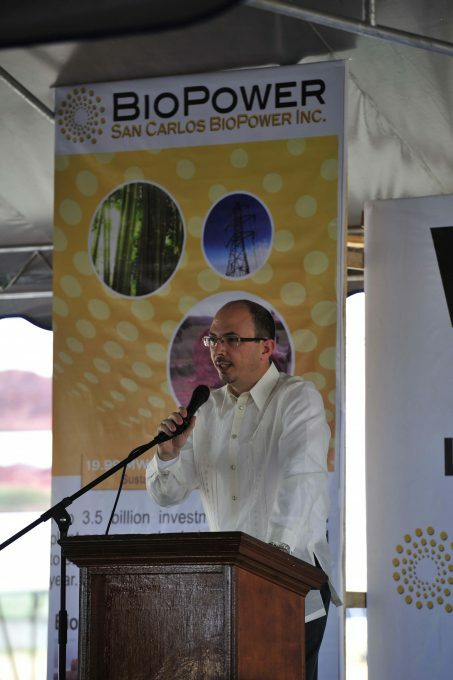 Speakers speaking in front of numerous guests and press representatives were: Antonio Ledesma, Bishop of San Carlos City, Jose Maria P. Zabaleta, President Bronzeoak Philippines Inc., Gerardo P. Valmayor Jr., Mayor, San Carlos City and T.U. 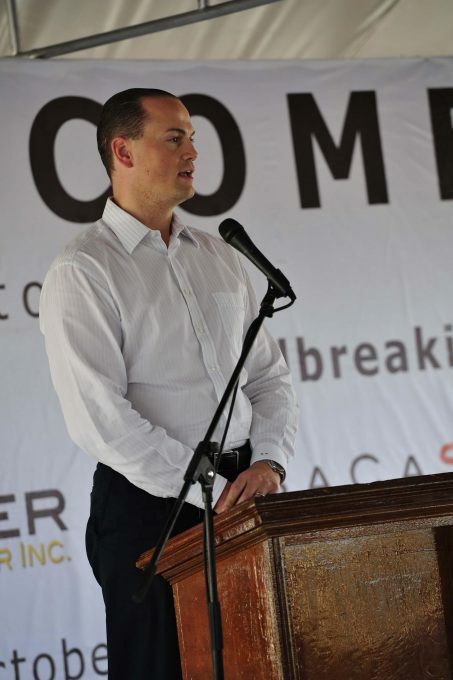 Michael Sieg, Chairman & CEO of the ThomasLloyd Group.